This week we take our cue from a column in the Hampshire Gazette on “Power and Money” and an essay in this month’s Atlantic Monthly on “Economy” to focus on wealth and class in relation to Emily Dickinson and her use of economic imagery in her poetry. 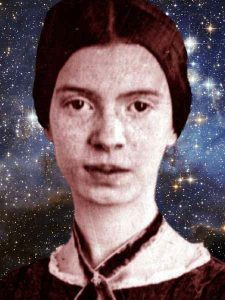 This week we take our cue from a column in the Hampshire Gazette on “Power of Money” and an essay in this month’s Atlantic Monthly on “Economy” to focus on wealth, class and economics in relation to Emily Dickinson. in America none will admit that they have any particular station, or that they can live above it. The principle of democratic equality unites in society people of the most diverse positions and means. It is important to note that this essay, part of a series about the changes wrought by the war economy on the American household, was written by Harriet Beecher Stowe under the pseudonym "Christopher Crowfield." And that even in progressive outlets like the Atlantic Monthly, women writers still felt it necessary to publish under male pseudonyms––perhaps especially when they were discussing economics. Dickinson came of age during a period of shifting economic and social trends, what Robert Merideth calls “The Age of Enterprise [and] the Rise of Finance Capitalism.” Her grandfather, father, and brother were each known as the “Squire” of Amherst, a recognition of their active involvement in the town’s development and membership in New England’s conservative political and social elite. 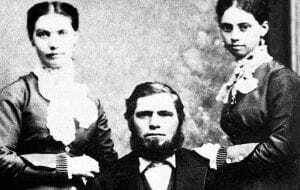 Dickinson and her sister Lavinia were not expected to work, have a profession or earn money. But the Dickinson family’s financial history was fraught with instability. The small town community, in which their status harked back to earlier pastoral forms of social hierarchy, was changing and, as we will see, those changes register in Dickinson’s experience of class and economic necessity, inflected by her gender and her racial identity. Economic changes also register in Dickinson’s poetry. 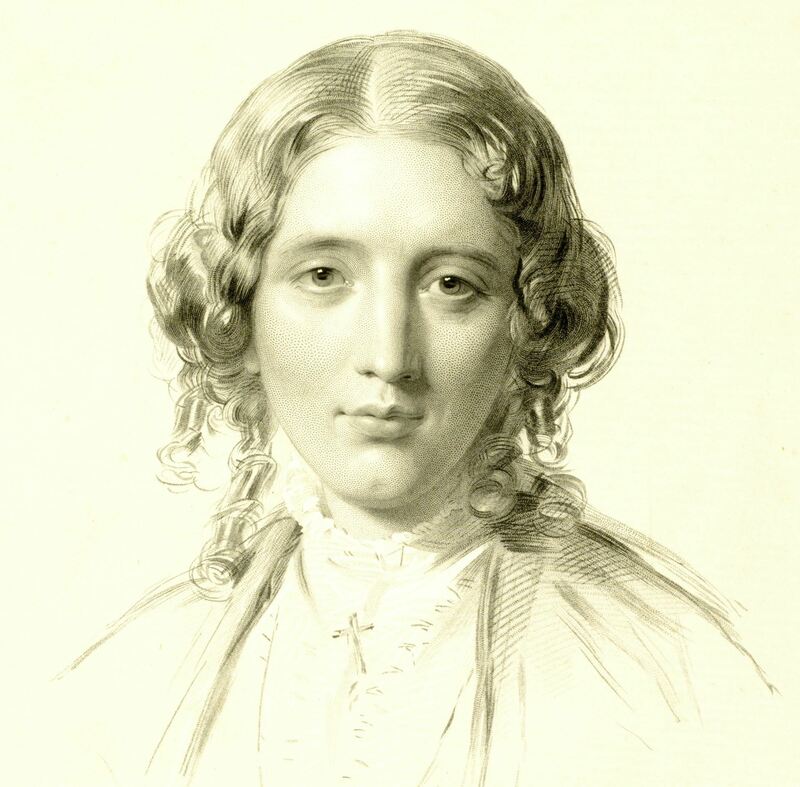 Merideth estimates that at least 10 % of Dickinson’s poems employ “the language of economics,” but scholars are divided on how she used this discourse and to what end. Famous poems like “Publication – is the Auction / Of the Mind of Man –” (F788, J709, 1863) and her refusal to enter the print publication market of her day bolster the view of Dickinson as an elitist and Romantic who placed herself and “art” above the worldliness of commerce. Other approaches explore her investment in and commentary on economics, her evolving class consciousness, and her commitment to democracy’s notion of the sovereign individual. There is little doubt that Dickinson occupied a privileged class position and knew it. She also likely perceived how unstable and threatened that position was. Edward, Dickinson’s father, struggled in his early years to make up for his father Samuel’s financial insolvency, caused largely by his investment in the establishment of Amherst Academy and Amherst College. 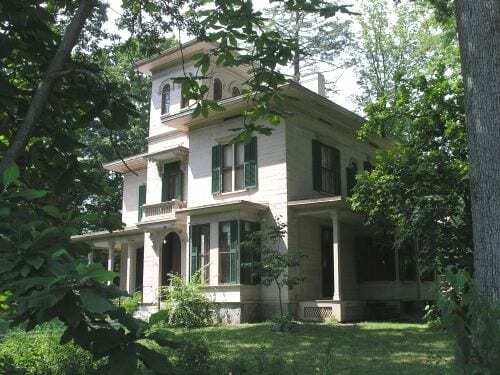 Samuel built the imposing “Homestead,” also known in town as “the mansion,” but Edward had to move his family out while he established his law practice. He lost money in the Panic of 1837, but eventually recouped his losses with investments in land. The Dickinsons did not move back until he could repurchase the house in 1855 and expand and refurbish it. Strongly civic-minded, Edward served as treasurer of Amherst College, and helped bring the railroad to Amherst and increased mail service. [put in picture of the house on North Pleasant Street where they lived from 1840-1855). His first born son, Austin, also became a lawyer and civic leader in Amherst. When he married Susan Gilbert in 1856, Edward insured their proximity by building them the distinctive Italianate villa, the Evergreens, next door, which they furnished with contemporary art work. When drafted, Austin purchased a substitute for himself at the price of $500. 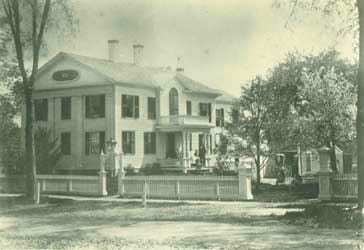 Both Dickinson families hosted many and famous guests and held annual social events like the Amherst College Commencement Day dinner and Sue’s famous evening salons and musicales. If on the level of language Dickinson might be celebrated as a kind of literary terrorist––a "loaded Gun" and dancing "Bomb"––who blew up the social and symbolic orders of patriarchal language, it is also important that we recognize that her poetic revolution was grounded in the privilege of her class position in a conservative Whig household whose elitist, antidemocratic values were at the very center of her work. Rather than expressing sympathy for the disenfranchised, the speaker expresses both anxiety and contempt for the democratic system that gives "bog-trotters” [Irish immigrants] access to political and cultural influence. Erkkila’s central claim that “Dickinson was the "lady" and the intellectual whose leisure, freedom, and space "to think" were made possible by the manual labor and proletarianization of others” has been differently inflected by a ground-breaking study of Dickinson’s relationship with the Irish servants in her household. Aife Murray points out that domestic arrangements in the Dickinson household were unusual for that class. Emily Norcross insisted on doing most of the domestic tasks, with the help of her daughters, but as they became more socially engaged, they persuaded Edward to hire a full-time live-in “maid-of-all-work.” Margaret O’Brien served in this capacity from 1850 until she married and left in 1865. Then there is a three and a half year gap before Margaret Maher is hired in 1869 and remains until well after Dickinson’s death in 1886. Murray acknowledges that these women were “critical to [Dickinson] defining herself as a poet,” but not merely as nameless, faceless laborers or proletariats. She notes that Dickinson begins creating the fascicles when O’Brien arrives and stops during the period between her departure and Maher’s hiring, when she–Dickinson–took on so much of the household chores, even her letter writing flags. Editor Thomas Johnson comments about this period, “Psychologically she was dormant. The great poetic drive was suddenly at an end,” while Murray counters by saying, “Dickinson was busy”–with housework. Murray also paints a very different picture of Dickinson’s class consciousness, arguing for her awareness of the significance of these privileges and her recognition of the contributions of the Irish servants in her household to the often occluded “social context of the artwork’s production.” She even argues that Dickinson stored her fascicles in Maher’s trunk and abjured her to burn them after her death. 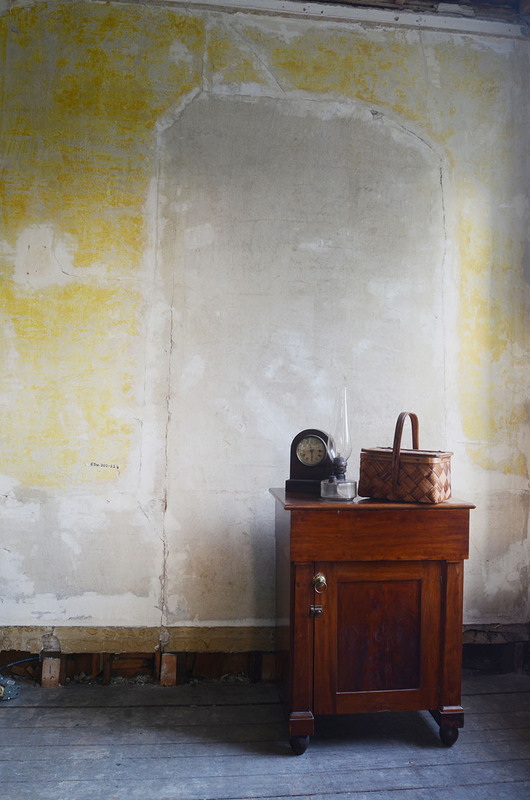 But recognizing their worth, Maher disobeyed and moved them into Dickinson’s dresser where Lavinia “found” them. 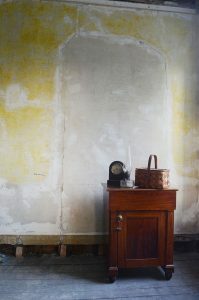 In her brilliant book, Queer Phenomenology: Orientations, Objects, Others (2006), Sara Ahmed asks us to consider everything that goes into the activity of writing – not only the time and energy of the author, nor merely her influences, talents, skills, and education, but also her material support. Without time and space, without food in the belly and a roof over one’s head, writing becomes difficult, if not impossible. Sitting down to write is never simple, for in clearing a space to write, one is inserting oneself into a specific position within a material economy. Unless one is a professional writer, writing is a leisure activity – testimony to the margin of freedom allowed by capitalism. Part of the difficulty of reading Emily Dickinson’s poetry in class terms is that it’s hard to avoid the conclusion that Dickinson suffers from too much leisure, that the formal inventiveness of her poetry betrays a certain elitism. It’s easy to disdain the commodification of social life – “the Auction/Of the Mind of Man” – when one doesn’t have to worry about paying rent. Part of Ahmed’s point, however, is that writing orients us towards objects in certain ways, that writing has its own efficacy, its own ability to move us in specific directions. It’s undeniable that Dickinson’s class position – her belonging to a bourgeois family of politicians and entrepreneurs – is the material condition of possibility of her poetry. At the same time, I’m not so sure her poetry orients itself towards the social reproduction of capitalism. So, when Dickinson’s poetry uses economic language to describe the emotions of a household, or when it frames the value of poetry and love in terms of their irreducibility to financial calculations, what’s at stake is not only class position in the conventional sense (workers versus capitalists; the proletariat, the petty bourgeoisie, and the bourgeoise; etc.). It’s also about everything that goes into reproducing a household, including the emotional labor or care labor so often expected from women. Dickinson’s poetry speaks to the intersection of gender and class, specifically, to the ways in which patriarchy, misogyny, and homophobia align with capitalism to burden women with the task of reproducing the workforce (and with a smile). We might pose a few questions, then: How does Dickinson’s poetry represent capitalism not only as class conflict or as the privilege of the elite but also as the general commodification of the household? How might the formal strategies of her poetry suggest alternatives to the capitalist value-form? How might her poetry cultivate social norms, affects/emotions, and even forms of life that differ from bourgeois possessive individualism? I’ve spent a lot of time analyzing poems such as “I gave Myself to Him” and “I’m ‘wife’- I’ve finished that,” and one of the consistent refrains in these poems is an anxiety regarding private property. To paraphrase Marx, Dickinson worries about what happens when everything gets reduced to the sense of having. I read this same anxiety in “Reverse cannot befall.” The retreat of value into the bowels of the earth constitutes a utopian demand for a life beyond the capitalist cycle of booms and busts. One might say that the poem becomes a placeholder for, if not a guarantee of, the invaluable. It makes a place for that which remains untouched by the endless reversals of the market. Of course, none of this erases the privilege Dickinson derives from her class position, but in the midst of a household that could not help but reflect and reenact the commercial desires of capitalism, her poetry did not so much serve capitalism as do a disservice to its entrepreneurial schemes. One could perhaps do worse than seeing her poetry as a reminder that not everything has a price. 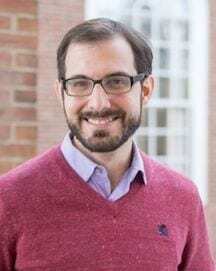 bio: Christian P. Haines is Assistant Professor of English at Dartmouth College. He's recently finished a book, A Desire Called America: Biopolitics, Utopia, and the Literary Commons, which will be published by Fordham University Press in 2019. He also co-edited and introduced a special issue of Cultural Critique, "What Comes After the Subject?" (Spring 2017). Essays by him have appeared in journals including Criticism, Genre, Cultural Critique, and boundary 2. He has work forthcoming in Arizona Quarterly and Postmodern Culture and in edited collections including The Routledge Companion to Literature and Economics (Routledge) and The Next Generation: Emerging Voices in Utopian Studies (Peter Lang). He serves as a contributing editor for Angelaki: Journal of the Theoretical Humanities. Merideth, Robert. “Emily Dickinson and the Acquisitive Society.” The New England Quarterly 37.4 (1964), 435-52, 437. Smith, Martha Nell. 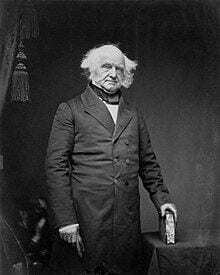 “The Dickinsons & Class.” The Civil War, Class, & The Dickinsons. Erkkila, Betsy. “Emily Dickinson and Class.” American Literary History 4.1 (Spring 1992): 1-27, 3, 13, 15, 21, 23. Mitchell, Domhnall. “Emily Dickinson and Class.” Cambridge Companion to Emily Dickinson. Ed. Wendy Martin. Cambridge: Cambridge University Press, 2002: 191-214, 197-99. See also, Emily Dickinson: Monarch of Perception. Amherst: University of Massachusetts Press, 2000. Murray, Aife. “Miss Margaret’s Emily Dickinson.” Signs 24, 3 (Spring 1999): 697-732, 729. See also Maid as Muse: How Servants Changed Emily Dickinson’s Life and Language. Hanover: University Press of New Hampshire, 2008.